Happy Traveling To Everyone Going To The AKR Seminar in Minnesota | The Kyudo Project Blog! I hope everyone traveling to to the 2011 AKR seminar in Carleton College in Northfield Minnesota both domestic and international have a safe trip and all their luggage arrives safely! 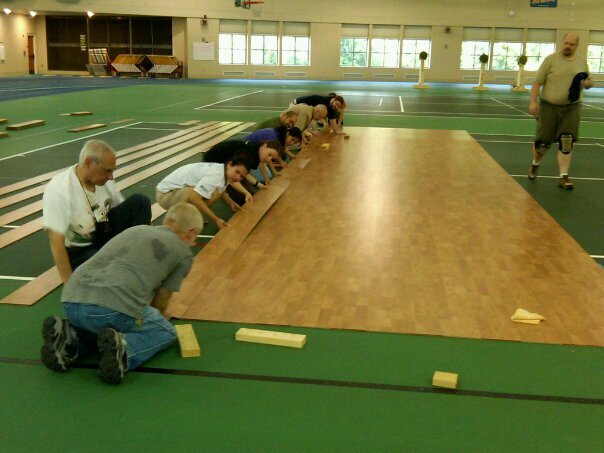 The Minnesota Kyudo Renmei is trying something new this year by building three shajos of snap together wood laminate flooring. I'll be interested in hearing how it works out.